Ordinances are laws passed by a political subdivision of a state such as a city, town, village, county, etc. They typically deal with public safety, health, zoning, public streets and sidewalks, and general welfare. 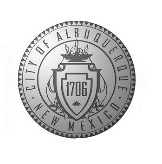 Many New Mexico municipalities and counties have chosen to make their ordinances available through online publishers. Check each of the websites listed below to determine whether the ordinances you want are available from an online publisher. To access codes on this site, click on "Get Codes" in the upper right side of the screen and select "New Mexico" from the drop-down list or the map. Select the municipality you would like to access. If the ordinances you want are not available through one of the online publishers listed above, search Google to determine whether they are available on the municipality or county website. Unfortunately, some municipalities and counties have not made their ordinances available electronically. For access information, hover your mouse over the icon located after each resource description.